Palestinian territories - In light of the serious unprecedented deterioration of all aspects of life in Gaza, the Euro-Mediterranean Human Rights Monitor calls on the international community to declare the Gaza Strip a disaster area. The dire situation that has left its mark on every walk of life in Gaza has been the result of a 12-year Israeli blockade, semi-complete closure of the Rafah crossing and unprecedented wave of economic sanctions by the Palestinian Authority on Gaza. Israel has been committing a crime of collective punishment against two million people caged in an open-air prison and suffering from a severe shortage of basic services such as water, electricity and medicine, said the Geneva-based human rights group. As a result of a growing political dissent with Hamas - the party in control of the coastal enclave, the economic sanctions and funding cuts by the Palestinian Authority have already exacerbated the unfolding humanitarian crisis and led to an unprecedented wave of poverty among the Strip’s population. 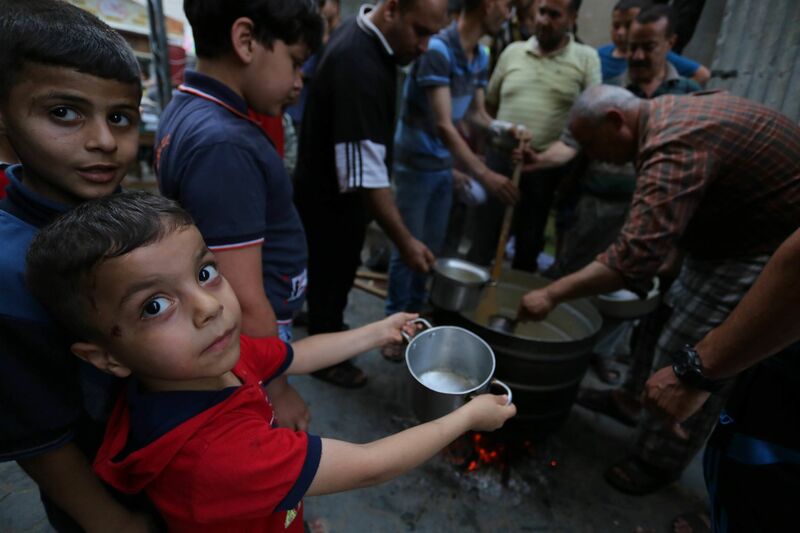 As many estimates indicate, 60% of essential medicines will be exhausted within two weeks, while food security is taking a new turn, with over two-thirds of households in Gaza lacking food security and facing serious challenges to provide food for themselves and their children. It is incumbent on the United Nations Security Council and on the international community as a whole to declare the Gaza Strip a disaster area and to consider the catastrophic situation a threat to international peace and security, urges Euro-Med Monitor. The Gaza’s population, especially youth, have already reached a credible state of despair and frustration resulting from the successive waves of collapse of the vital sectors of the Strip, including infrastructure, health and education. Meanwhile, the targeting of peaceful protesters as part of the largely peaceful Great Return March has left over 10,000 civilians wounded, including more than 300 cases of serious injuries, in addition to 115 deaths, adding to the complexity of the already fragile situation. The Palestinian Authority's punitive measures, including salary cuts of over 65,000 employees, have also impacted life leading to the current deplorable situation that calls for a serious stand from the international community and concerned countries. It is necessary that immediate and serious action be taken to put an end to the humanitarian suffering in Gaza, especially with regards to providing basic services such as electricity, clean drinking water and infrastructure, stressed the human rights organization, suggesting that economic projects be launched to alleviate the high level of abject poverty and unemployment rates. The Euro-Mediterranean Human Rights Monitor reiterates its call on the United Nations agencies and other non-UN bodies to shoulder their responsibilities and provide the necessary humanitarian relief to the people of Gaza and to exert all possible effort to pressure Israel to end its blockade. Euro-Med Monitor also calls on the Palestinian Authority to stop its punitive measures against the population.